Are you doing a social media blackout this weekend? ‘Tis a pity, you’re missing TVRD’s alternative viewing guide. Fans of horror will have 24-hour access to watch ghouls, zombies, and blood-suckers on TV. But for the rest of us, here are some TVRD favorites. House of Cards US: Watching Frank and Claire Underwood manipulate their way into power is compelling. It’s a show for cerebral viewers who are fond of acerbic wit and dark humor. The protagonists lie, cheat and kill. Literally. They will kill for the power. They are well-read, savvy, and detail-oriented. God, I love ‘em. “Incidentally”, Netflix happened to drop the Season 5 release date on Inauguration Day. I see you, Netflix. 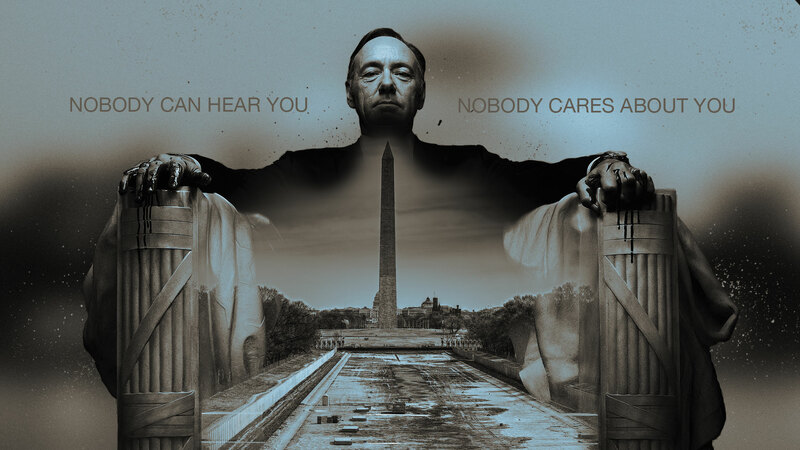 House of Cards UK: The original version set in the UK is clever and brims with caustic humor. The storylines are aligned with the US version but in a foreign and prehistoric setting. No Tweets or Buzzfeed. The mobile phones are big enough to be bandied about as weapons. Selfies aren’t a thing yet. (You’d have hated it, Zoe Barnes.) Good for Anglophiles, bad for viewers who don’t want spoilers. If for no other reason, you’ll get to add a shady undertone to gossip. Yes, Frank Underwood also says it. But crisp British accent adds a lovely level of malice. Orange is the New Black episodes “WAC Pack” and “Blood Donut”: Unexpected choice, we know, but the two episodes focus on an election for the women’s advisory council. The campaigning is amusing. The Man in the High Castle: The Amazon original series imagines a bloodcurdling“what if” scenario in which the Nazis won the war. True confession, I only watched a few episodes when the series debuted, but based on what the TVRD advisory committee says, (By which I mean my friend Naomi.) I’ll tune in when I want to be a masochist and muse on a dystopian America. Do you have preferred viewing choices for when you think everything is going to hell in a handbasket? We adore your cynical comments, so please leave one. Comments don’t appear immediately, but we’ll get to them after applying for Canadian citizenship. What I've been thinking about Mariah Carey's New Year's Eve debacle, The Bachelor, Sleepy Hollow and Emerald City.